The fifth and final blog in the Wii Sports Warm-Ups series involves Wii Boxing and the muscles involved in real-life boxing. The physically demanding sport requires warming up and exercising a considerable array of muscle groups spanning almost the entire length of the person’s body, from the shoulder and neck muscles to the upper leg muscles. Three-minute rounds of fighting, interrupted by 30 or 60-second rest breaks between rounds, demands aerobic and anaerobic conditioning so that boxers could last 12 or 15 rounds. Body conditioning involves developing upper and lower body strength as well as good hand-eye coordination and spatial awareness. 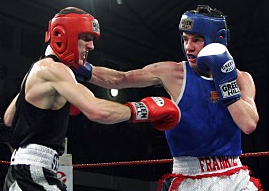 Much of the wear and tear that takes place on the body during boxing occurs in the upper torso area, so boxers focus on strengthening the core muscles in order to absorb punches to the body. Offensively, the act of punching and the subsequent impact requires conditioning the shoulder, neck, arm, and hand muscles. The following video contains a series hand, finger, and forearm exercises for martial artists, and boxing, as a martial art, is no exception. The exercises highlighted in the video strengthens the hand muscles listed above. Why work out the legs in a sport that seems not to use them? A good amount of the power in a boxer’s punch comes from their lower body. Working out the upper leg muscles and hips helps boxers develop more explosive punches. First-time players of Wii Boxing found themselves the most sore (and out-of-shape) out of all five sports available in Wii Sports. Whether you’re a virtual Wii boxer or a real boxer, warming up the muscle groups outlined in this blog will help you reduce injuries, increase your endurance, and get the most out of the athleticism that virtual and real boxing needs. The fourth blog in the Wii Sports Warm-Ups series involves Wii Golf, the muscle groups involved in playing golf, and warm-up and strength-training exercises that work those muscles. When one mentions golf, many people picture an individual on a green golf course with a bag full of golf clubs and hitting a golf ball from a tee or on the green towards a cup marked with a flag. What many people do not connect, however, is the athleticism involved, especially because there is almost no running involved, except by the spectators of a tournament when an errant tee shot comes their way. Golfers, it turns out, must work out in the gym in order to improve their game and reduce the chances of injury. Indeed, a lot of consideration goes into making the first tee shot. Hamstrings – Maintains golf posture and prevents lower back injuries. Quadriceps – Maintains knee flex throughout the swing. Latissimus Dorsi (upper back muscles) – Maintains firm upper spine for smoother rotation. Deltoids (shoulder muscles) – Allows a more consistent “top-of-the-backswing” position and better club control throughout the swing. Forearms – Maintains stronger impact position with better wrist control. The third blog in the Wii Sports Warm-Ups series involves Wii Bowling and the muscles involved in the real-life version of the sport. 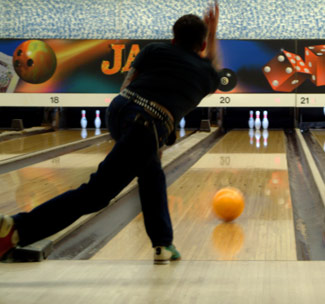 The seemingly fewer muscles and warm-ups required prior to bowling does not preclude the sport from any form of warm-ups, especially when athletic activity requires some warming up. Prior to playing a game or two of bowling, a person should warm up the muscles and joints in their throwing arm. Recreational bowlers and glove-wearing seasoned bowlers alike should focus on warming up their wrist since much of the energy released when throwing a bowling ball goes through there. Additionally, the bowler gathers energy during the follow through and approach to the foul line, so warming up the biceps and triceps is also necessary. Long-time bowlers can suffer from repetitive strain injuries (RSI), affecting the chest, shoulders, upper arms, and upper back. The following exercise can help lessen the possibilities of such injuries. On a side note, if you sit in front of a computer at work all day, or blog or Tweet all day, the aforementioned exercise is very useful for rejuvenating you during breaks. The second blog in the Wii Sports Warm-Ups series involves Wii Baseball, with a discussion about the muscle groups involved in playing baseball, including the muscles involved for batting and pitching. 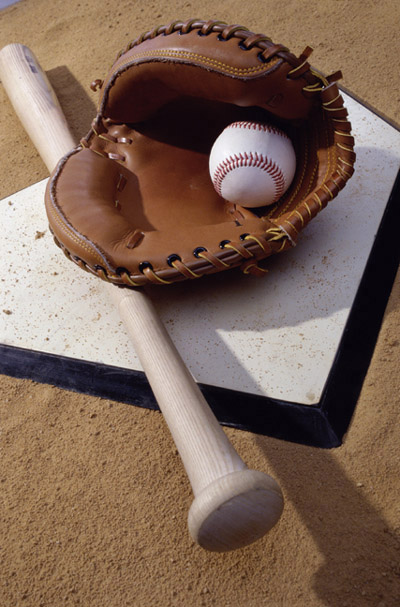 Even though Wii Baseball does not involve running around the baseball diamond, the discussion does include the leg and lower body muscles involved. Even though most of the running done by actual baseball players takes place when they run around the baseball diamond, retrieve a fly ball infield, or run after a ball outfield, people should understand how doing running drills helps increase speed and efficiency while also maximizing the potential hamstrings and quadriceps muscles. Nintendo launched the Wii across much of the globe in 2006, starting with the United States and slowly making its way to different countries. Prepackaged with the Wii was a copy of Wii Sports. Within the first few weeks of the Wii’s launch, however, doctors and physicians began seeing a rise in Wii-related injuries and sprains (nevermind the “injuries” inflicted on television screens due to poorly secured Wii Remotes or Nunchuks). The medical field found that, unlike the strains resulting from repetitive activities such as typing or excessive video game playing on a traditional controller, the injuries were alarmingly similar to sports injuries suffered by athletes in their respective sport. The following series of blogs focuses on how to warm up for Wii Sports, beginning with Wii Tennis. Undoubtedly, the transfer of knowledge that makes one a great Wii Tennis player does not necessarily transfer into real-life tennis. However, regular Wii Tennis players still risk suffering similar injuries as tennis players do in real life, so warming up the target muscle groups used most often by real-life tennis players will help lessen the risk. Clicking on a muscle group or stretch method below will lead you to a YouTube video demonstrating how to warm up and stretch that particular muscle. 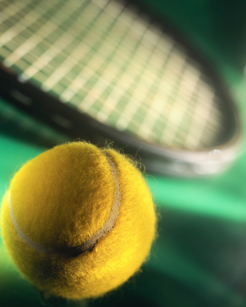 Whether you are playing a virtual game of tennis in Wii Sports or a real-life game, you should do the warm-ups and exercises presented in the videos above in order to prevent short- and long-term injuries that could sideline you from the game for weeks or even months.